Our church council is the administrative engine which helps the church function on a daily basis. Our council operates according to the latest Book of Discipline of the United Methodist Church, which requires that a variety of committees exist in the church as well as teams to be organized to ensure the nurturing of disciples, outreach to the community, and witness of the love of Jesus Christ to a hurting world. Our council operates not with bureaucracy in mind, but with the goal of including the people of our community and integrating them into the life of our church, while seeking to meet the needs of the world and one another. We work together to help ensure that each team and committee has the resources necessary to thrive. The required committees are as follows: the Staff/Parish Relations Committee (SPRC); the Trustees Board; the Finance Committee; and the Leadership and Nominations Committee. 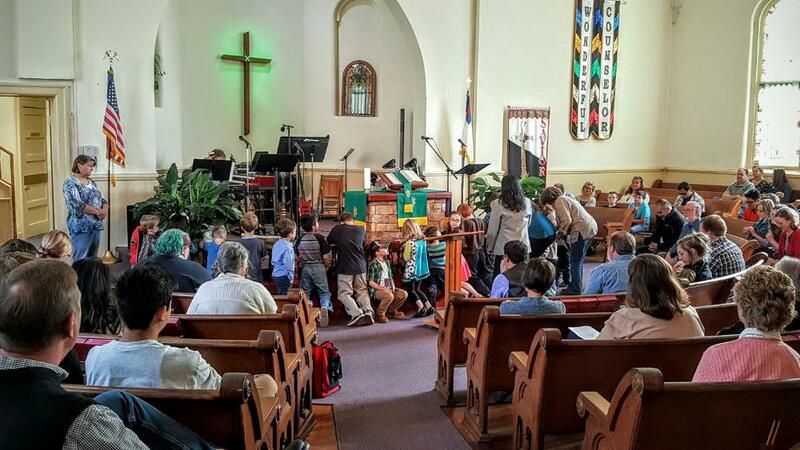 Other groups at Bell Buckle UMC who are represented on our church council include: our youth group; our worship team; our outreach & mission team; our children's ministries; among others. In addition to representatives from each committee or team, our church council includes our council chairperson; two lay leaders; our secretary; our treasurer; and our pastors. While members of the church council have the responsibility to vote during council meetings, all congregants of the church are welcome and encouraged to participate. They are not closed-door meetings, but rather are open to all to give voice. Most typically, we will ask that voting/action items be first brought before a committee for discussion and revision, but that is not always necessary. Our council would prefer you to make your concerns heard rather than simply sit quietly, as your input may be the very direction God intends for the church to move! As always, if you are interested in participating in any of the committees or teams in our church, please do not hesitate to contact one of our pastors or our council chairperson to get plugged in! Nuestro concilio de la iglesia asegura que la administración de la iglesia esté funcionando todos los días. Se dirije nuestro concilio según el Libro de Disciplina de la Iglesia Metodista Unida actual, que requiere que haya varios comités en la iglesia, además equipos de ministerios, para asegurar que los discípulos de Jesucristo estén alimentados y que el amor de Cristo esté compartido al mundo. Nuestro concilio no se dirije con el fin de burocracía, sino con la meta de incluir y integrar la comunidad en la iglesia, mientras llenar las necesidades del mundo y los demás. Trabajamos juntos para asegurar que cada equipo y comité tenga los recursos necesarios para que la misión de la iglesia prospere. Los comités obligatorios son los siguientes: el Comité de Relaciones Pastor-Parroquía (SPRC); la Junta de Síndicos; el Comité de Finanzas; y el Comité de Nominaciones y Desarrollo de Liderazgo. Otros grupos que se representan en el concilio de la iglesia incluyen: los jóvenes; el equipo de alabanza; el equipo de misiones; y otros. Además de representantes de cada comité o equipo, en el concilio de la iglesia se incluyen el presidente del concilio; dos líderes laicos; la secretaria; la tesorera; y los dos pastores. Aunque todos miembros del concilio de la iglesia tienen la responsabilidad de votar durante las reuniones, todos miembros de la iglesia están animados a asistir y participar. No hay reuniones del concilio cerradas; todas están abiertas a todos. Es más común que empecemos con puntos que necesitan acción o voto, pero no siempre es así. Nuestro concilio prefiere que Ud. comparta sus ideas o dudas que no, ¡porque sus opiniones e ideas pueden ser las que Dios quiere que se escuche en la iglesia! Como siempre, si está interesado(a) a participar en cualquier de los comités o equipos de ministeros, ¡por favor no dude en ponerse en contacto con los pastores o el presidente del concilio!